As prominent symbols in Eastern and Western countries, owls have strong cultural ties to mythology, spirituality, and literature. 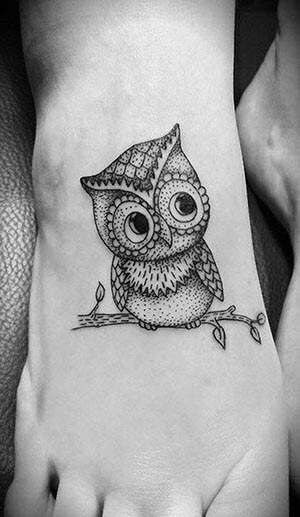 While European folklore portrayed owls as omens of death and doom, Ancient Greeks believed that owls were symbols of wisdom. 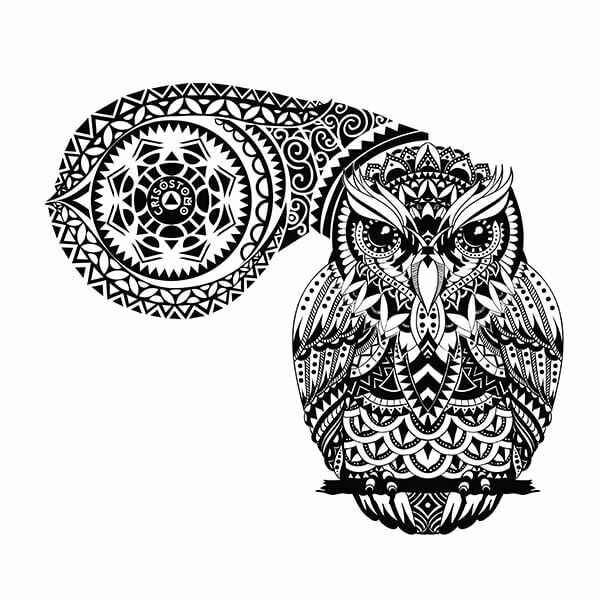 Below, we’ve put together an owl tattoo dictionary, explaining the meaning behind each one of these tattoo designs. Read on, and discover all of this bird’s secrets! 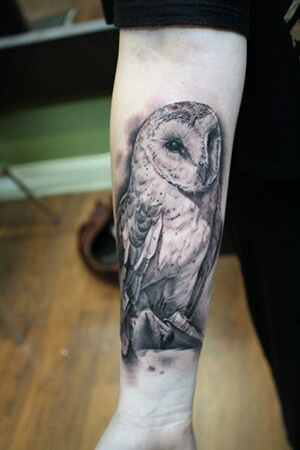 Barn Owl: a strictly nocturnal animal, the barn owl tattoo design is renowned for its stellar night vision and outstanding hearing. 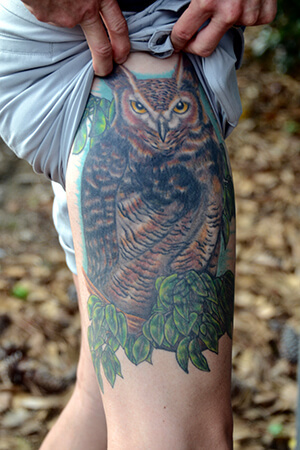 Flying Owl: the flying owl tattoo design is a celebration of the bird’s proud nature. 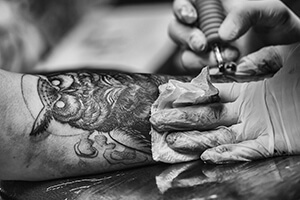 These tattoos also represent power and freedom. Great Horned Owl: the great horned owl is a symbol of territorial nature. They’re also known as protectors of the young. 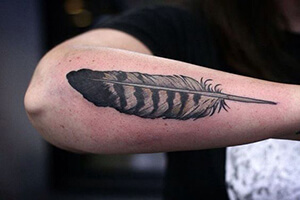 Owl Feather: in Native American cultures, the feather of a bird was believed to carry the bird’s spirit, which would guide the feather carrier in the afterlife. 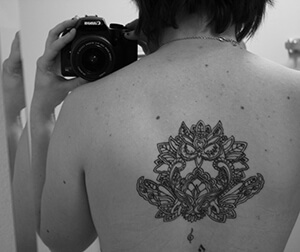 As a tattoo design, the owl feather represents spirituality and guidance along the right path. 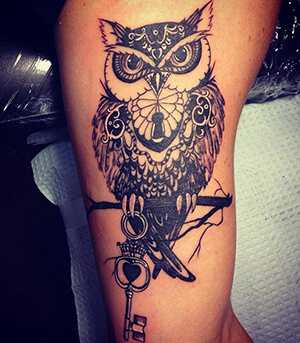 Owl and Key: known as the guardian of secrets, the owl and key tattoo design represents the discovery of new knowledge and wisdom. Snowy Owl: in pagan and Native American cultures, the snowy owl is a symbol of higher consciousness and self-awareness. Also known as fierce protectors of their eggs, they symbolize motherhood and fatherhood as tattoo designs. 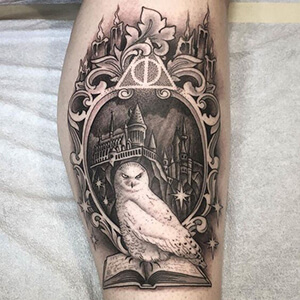 White Owl: the white owl tattoo design is a powerful symbol for dualities in life, including ‘good versus evil’ and ‘life versus death.’ It also stands as a symbol of purity. 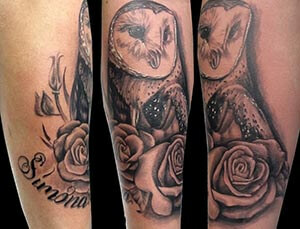 These mysterious birds have a strong and diverse cultural background, making them a highly favoured tattoo design. 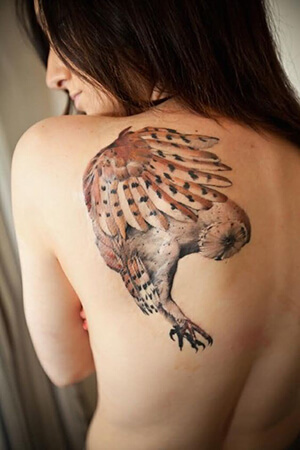 Whether you’re interested in the owl’s vigilant demeanour or its wise spirit, this bird can create an outstanding ink design. 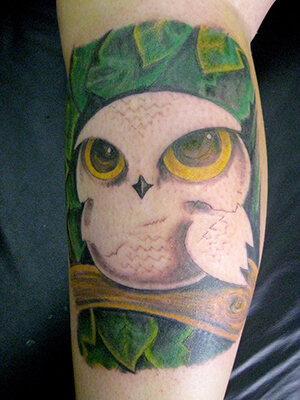 If you know of any other intriguing owl tattoo designs, let us know about them in the comment section below!